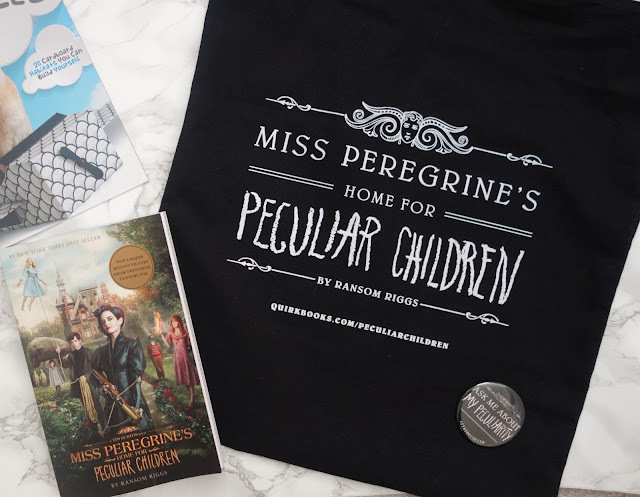 Miss Peregrine's Home for Peculiar Children was one of those books that I kept seeing the cover of and knew that I must pick it up and find out what all the fuss was about. Now with the film's release, I had no excuse but to start reading this series. Initially I thought this story was a bit slow to get off the ground. Yes a significant event happened at the beginning, but then it felt like quite a long process to get to the main part of the story. But when we did eventually get there, the story massively picked up and I did start to enjoy it. The pictures in this were great and this was made even more so by the fact these were real pictures found throughout the years by collectors and Ransom Riggs has created a story around them. I did sometimes think that it made the story a little disjointed as clearly pictures had been chosen and story made up around it and it didn't always work. That said the pictures were great to look at and definitely made the book just that little bit different. There were some heart-racing moments towards the end and despite a slow start the book did keep my interest throughout. However I don't think I enjoyed it quite enough to want to read the second one, but I could change my mind. Interesting concept though and quite a dark read. Think October is a perfect month to read this book if you are looking for something dark and mysterious. This book is on my Halloween Read-A-Thon TBR list. I'm yet to get started with it and truthfully am pretty excited! Horror is a fairly new genre for me and I hope the book won't be too overwhelming!